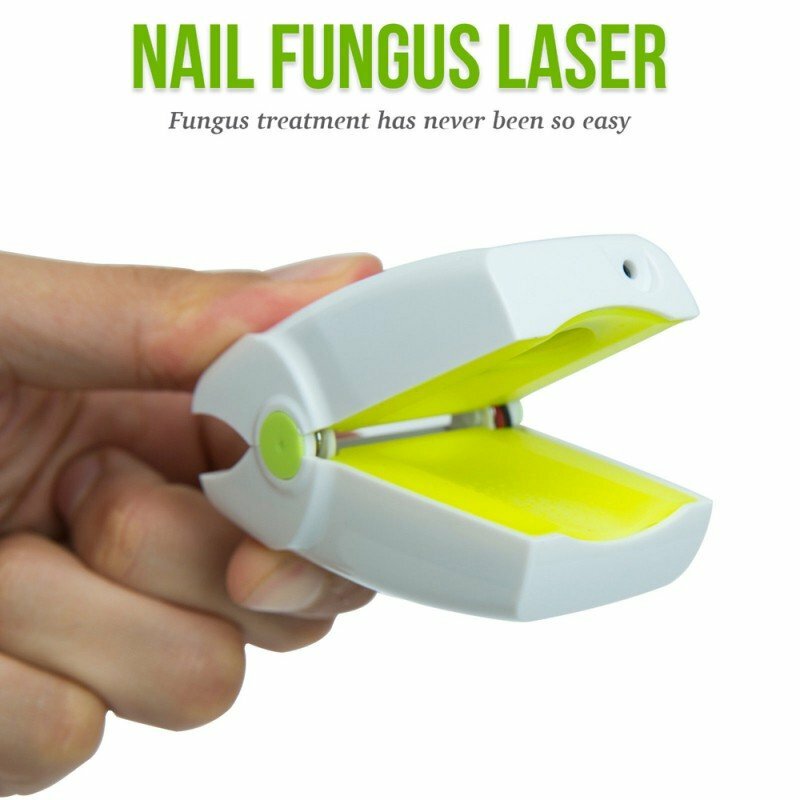 Fast, Painfree and safe laser treatment for Nail Fungus. You don’t have to go to a doctor, or medical spa for a laser treatment. This is the new, small, hand-held device that you can use to kill the fungus yourself from the comfort of your own home. 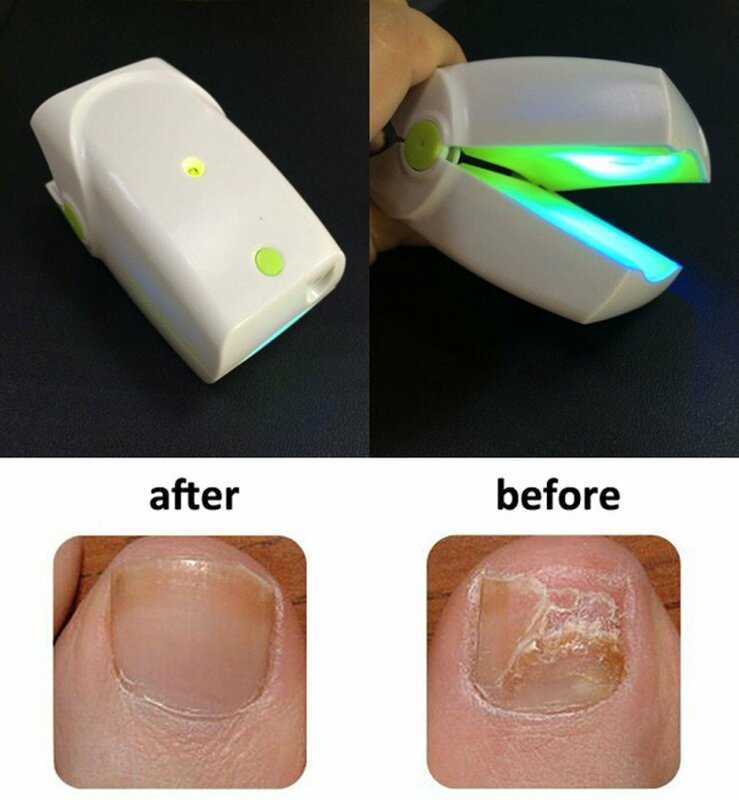 It relies on a special type of intense light to kill the fungus, which is a common cause of painful, unsightly toenails. You will notice the incredible result in as short as 3 months. Toenail and fingernail fungus can cause a tingling sensation and even be painful, but above all sufferers feel embarrassed to expose unsightly nails and often feel ashamed to wear sandals in public. The traditional treatment oral antifungal medications are toxic and may cause serious medical complications including kidney damage. Looking for effective at-home toenail fungus treatment and save you further embarrassment caused by your unsightly nails? 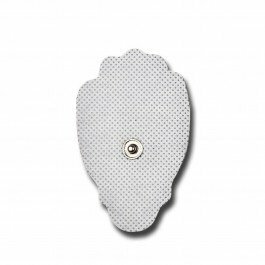 Would you like a game-changing device that discreetly delivers fast nail fungus treatment using groundbreaking technology? 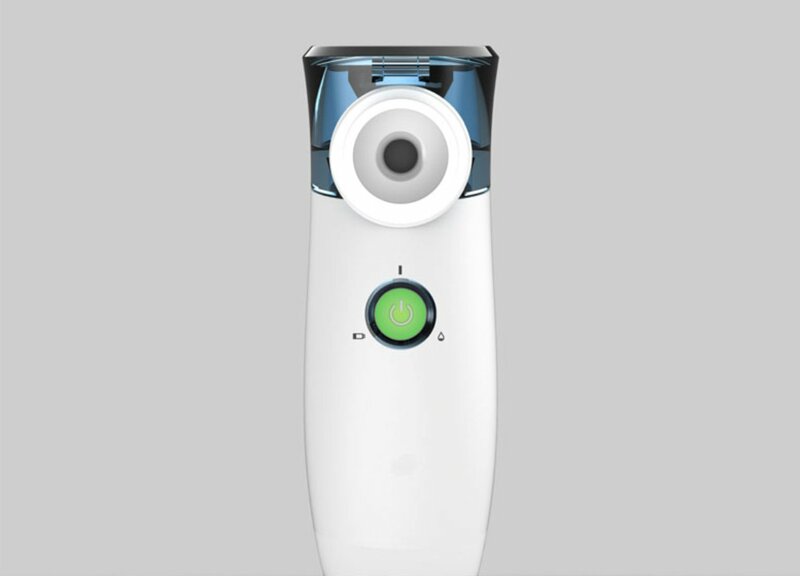 Features the latest innovation in Laser treatment, our laser treatment device brings highly effective treatment right into your home. 1) It is completely drug-free and non-invasive, meaning it does not impose all the health risks associated with the oral antifungal medications. 2) There are no adverse reactions, injuries, or known side effects from use of lasers to treat a toenail fungus infection. 3) The treatment is fast, painless and involves no cutting, scrapping or slicing to warrant any cleaning afterwards. 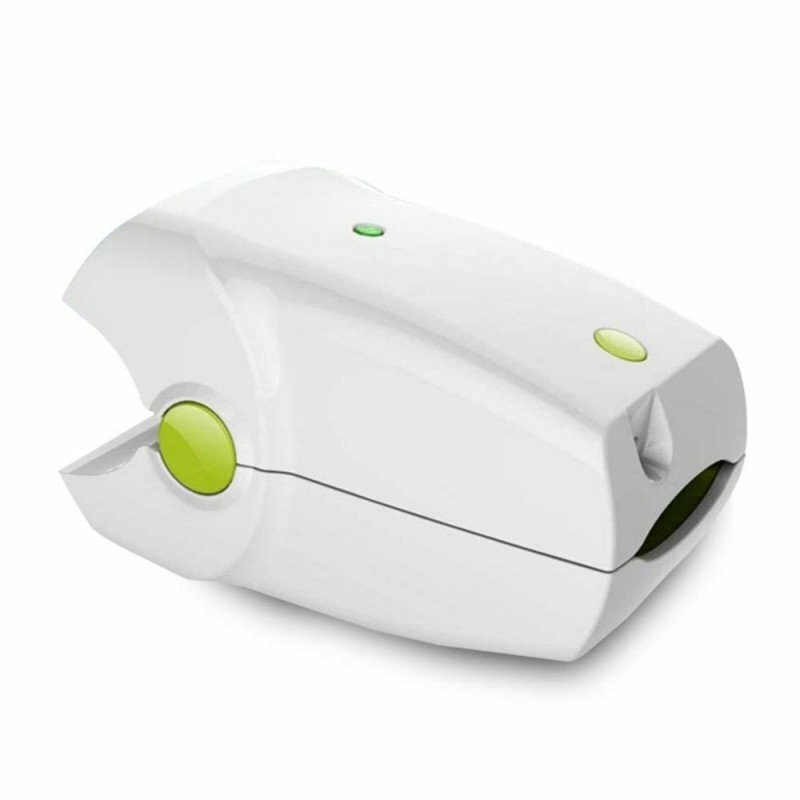 By just pressing one button, laser device automatically gets to work. 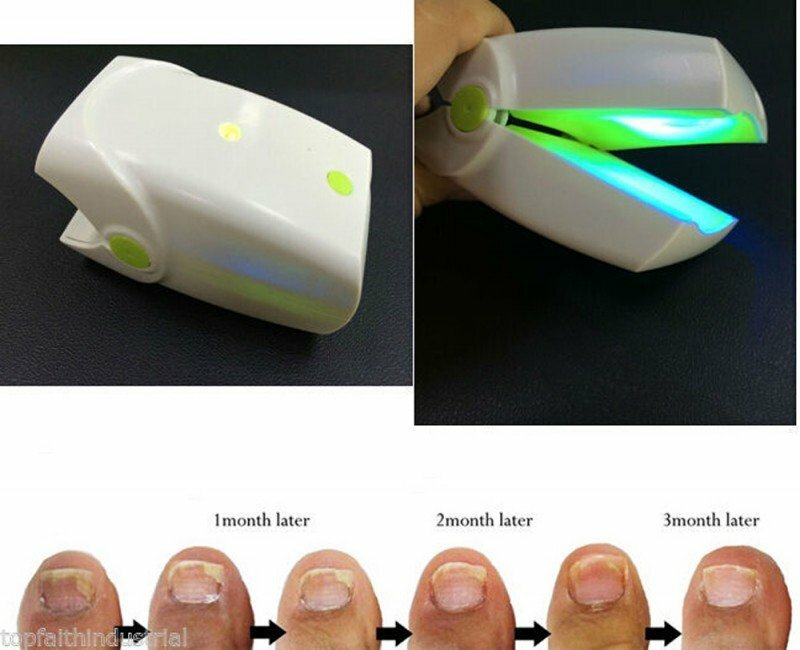 The 905nm laser therapy device combines pulse laser radiation and blue light energy to treat nail fungal infections (Onychomycosis), resulting in a synergetic therapeutic effect. 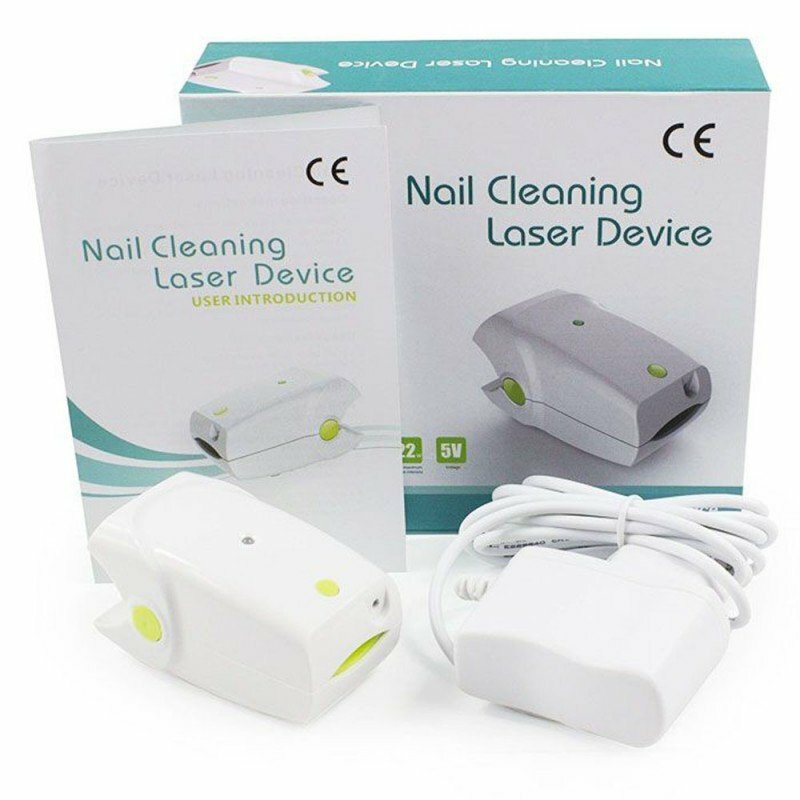 Laser irradiation will penetrate the infected nail plate and will target causative pathogens residing on the nail bed. As a result, the infection will be greatly alleviated and gradually eliminated. Lasers produce coherent light energy of a sufficient strength and of a specific wavelength which when projected into tissue is differentially absorbed by the target material, producing heat and hence tissue destruction. Other tissue components are unaffected and so spared. The blue light also helps to stop the fungus from affecting other toes in the area. (1) REVOLUTIONARY HOME TREATMENT; allows you to treat nail fungal infections from the comfort of your home. (2) FAST ACTION, HIGHLY EFFECTIVE; incredible results with just 7-minutes of daily treatment per affected nail. Three sessions a day are generally sufficient to ensure results. You will not see an immediate clear result. As the nail resumes healthy growth, they grow in clear. Nails grow slowly so you may not see a significant improvement for several weeks, but you should see a gradual growth of the clear nail. (4) COMPACT DESIGN; lightweight and small enough to carry around. With the added benefit of portable power, you are guaranteed of your fungus treatment for nails anytime, anywhere; even while on the go. 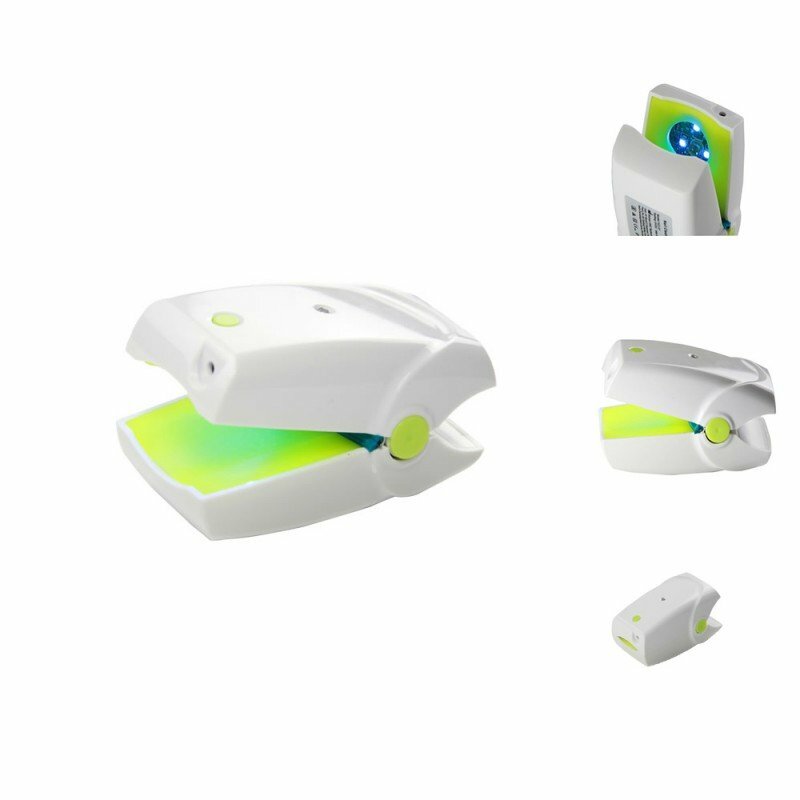 3) The device will operate for 7 minutes and shut off automatically. 1) Treatment of infected mails must be done on a daily basis. 2) Each infected nail should be treated at least once a day. 3) Treatment of the same nail may be repeated in the same manner as was explained above. Maximum of 3 daily treatments are allowed. 4) In case of more than one infected nail, all infected nails should be treated in order to prevent the spreading of the disease between the nails. 1) The device should be used in strict compliance with safety and operating precautions provided in this manual. 2) Service and maintenance of the device should be performed only by CareMax. Personnel or other qualified personnel approved by CaerMax. 3) Please review the manual before initial use. It is important to keep this manual handy. 5) Direct or reflected laser radiation should be prevented from direct eye contact. 6) Pregnant women should not use the device close to womb. 7) Keep the device away from children. 8) Children under the age of 18 years should be treated with the supervision of an adult. 1) Exterior side of device may be cleaned with moistened cloth. 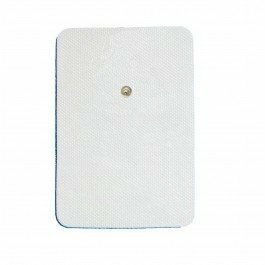 Once in a few treatments it is recommended to extract the rubber padding located in the inner surface of the device and to clean it with medical alcohol. 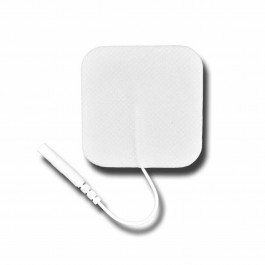 2) The device should not be handled to other people for use without prior cleaning of the rubber padding. 1). What will I feel during treatment? People will usually feel nothing. In rare cases some may feel a slight warming effect. 2). When will nail health improvement be evident? Treatment duration may vary between individuals, depending on variables such as age, severity of infections and so on, Estimated treatment duration is 3-6 months. 3). Can the laser burn me? No, it’s Class 1M laser device, absolutely safe. 4). Will the fungus come back? Nail infection should improve following treatment but you will need to continue with home care technquies to reduce recurrence of the infection as advised by your doctor. 5). What else should you do to ensure successful treatment? • Keep your feet as dry as possible and expose them to light and fresh air often. • Change your socks and shoes if they get wet. • If you are in public places like a pool or locker pool always wear flip flop or sandals. • Trim your nails frequently. 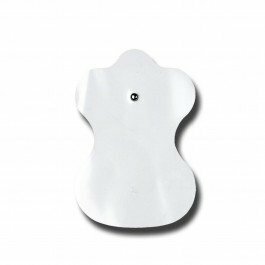 • If you get manicures or pedicures, bring your own tools so you can ensure that they are sterile. • Consider using an Shoe Dryer and Sanitizer to help kill any bacteria that may linger in your shoes. Legal Disclaimer: The information should not be considered complete and should not be used in place of a visit, call, consultation or advice of your health care provider. Should you have any health care-related questions, please call or see your health care provider promptly. You should never disregard medical advice or delay in seeking it because of something you have read here.